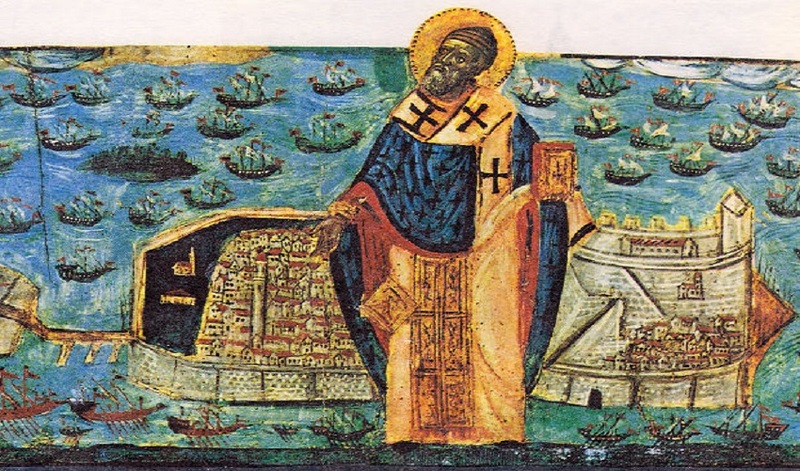 Historical sources that testify to the authenticity of the following event on the expulsion of the papal powers from the island, include the historical notes given by a great saint of our Church, St. Athanasios of Paros. We should all reflect upon the message of the following event. The Turkish armies had been concentrated at the far walls of the city. 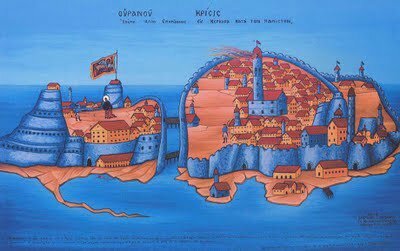 Andrea Pisani, a general of the forces of the Venetian Republic, was anxiously anticipating the oncoming enemy attack (since Corfu and the nearby islands were occupied by the Venetians at the time since 1386). 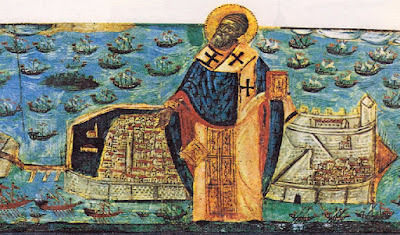 After this powerful, surprising and most obvious miracle, the Venetian ruler Andrea Pisani, who belonged to the Latin Church, wanted to erect a Latin altar inside the Orthodox Church of Saint Spyridon (forever pushing for this was also the Latin Cardinal of the island). However, St. Spyridon appeared to Pisani in a dream saying: “Why are you bothering me? The altar of your faith is unacceptable in my Temple!” Naturally, Pisani reported this to the Latin Cardinal who answered that it was nothing but an evil fantasy of the devil who wanted to nullify the noble deed. After this, Pisani was much encouraged, so he ordered the necessary materials to commence construction of the altar. 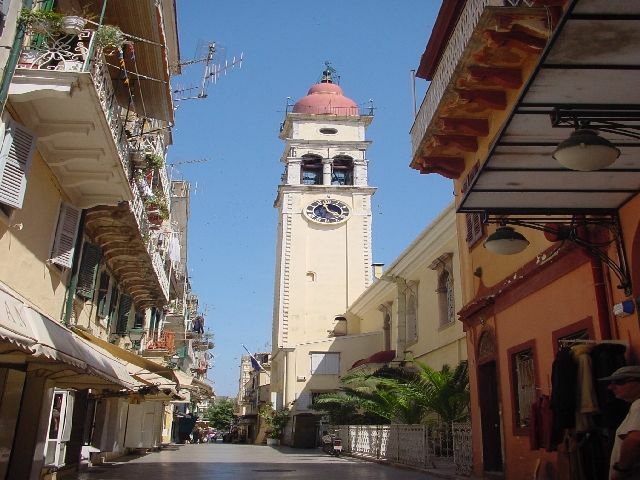 The materials were piled up outside of the Temple of Saint Spyridon. When the Orthodox priests of the Temple and the Greek leaders of the island realized what was going on, they were greatly grieved. They asked to meet with Pisani to ask him to put a stop to this. Pisani’s response was quite disheartening. He said quite bluntly, “As a ruler I will do whatever I please!” At that moment, the Orthodox community of the island turned their eyes to their Saint, beseeching him to put a stop to this abomination. The next morning, Pisani reported all this to the Latin Cardinal who now accused him of being not only faithless but also of being “yellow”. Again, after this, the ruler mustered up enough courage to order the construction of the altar. The Latins of the island were celebrating their triumph while the Orthodox were deeply grieved. Their grief could not be comforted and with tears they begged for the Saint’s intervention to save them from the Latin abomination. That evening, a terrible storm broke out, unleashing a barrage of thunderbolts on the Old Fort, Pisani’s base and his ammunition barracks. The entire fort ended up in a holocaust. 900 Latin soldiers and civilians were instantly killed from the explosion, but not a single Orthodox was harmed (as they were not allowed inside the fort after dark). Pisani was found dead with his neck wedged between two wooden beams. The body of the Latin Cardinal was found thrown a great distance from the fort. But the most incredible fact was that the same night and at the same hour, another thunderbolt struck in Venice, targeting the compound of Pisani, burning his portrait that hung on the wall. Strangely enough, nothing else was damaged. Also, the guard of the ammunition barracks saw the Saint draw near him with a lit torch. He was carried by the Saint near the Church of the Crucified without a single scratch. Video from August 11, 2010 with Archbishop Ieronymos of Athens attending the litany in honor of the feast.